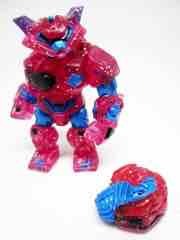 Think pink with the clear glittery Armorvor Neo Nonilla. Colored like a rabid Lisa Frank binder, this nifty figure brings you the Neo Granthan head with the classic wolf helmet and a backpack. And glitter. So much glitter. If you loved Eledram, you'll like Eledram Burst. 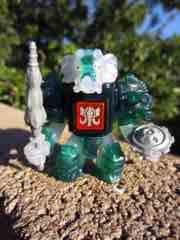 The elephant Beast Saga toy was redecorated and blind-packed for a pretty fair price, and odds are you didn't buy one.